Many employers require the use of arbitration to keep disputes out of court. Most business owners will be involved in a dispute one day, whether it be a human resource or discrimination issue, a patent dispute, breach of contract or a product liability issue. 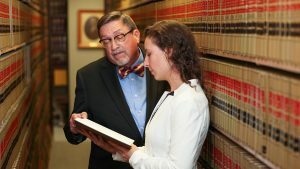 Dr. Stanley Leasure, associate professor in the finance and general business department t at Missouri State University, has developed a course to help students prepare for these situations without litigation.